The world’s best table tennis players have arrived in Bremen, Germany for the next stop of the prestigious GAC Group 2015 World Tour Super Series, the German Open. The German Open is traditionally one of the most popular World Tour events among the players and fans, with 301 players from 48 countries making their way to Bremen for the fourth World Tour of 2015. As usual in Germany, all eyes will be on the local hero and former world number one Timo BOLL (GER). BOLL will be playing his first international event since his semi-final appearance at the Liebherr 2014 Men’s World Cup in October last year. If the 34-year-old, who has won this tournament a record four times, wins two matches at the Men’s Singles main draw, he is on course to play an intriguing quarter-final match against his Qoros 2015 World Table Tennis Championships doubles partner, world number one MA Long. 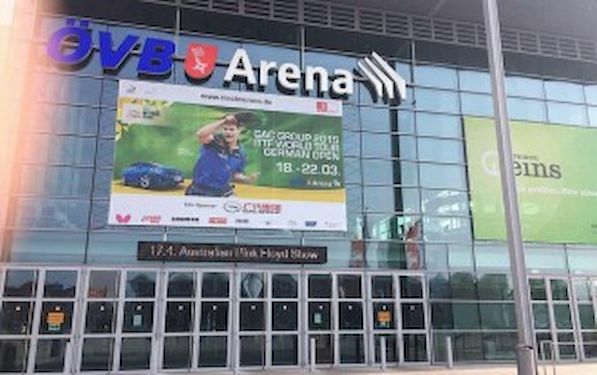 The capacity German crowd at theOVB-Arena, will also be treated to seeing more action from the world’s best such as World and Olympic Champion ZHANG Jike (CHN), Olympic bronze medalist Dimitrij OVTCHAROV (GER) and world number five Jun MIZUTANI (JPN). World number four FENG Tianwei (SIN) will be looking to continue her red hot form which saw her beat two top Chinese players on her way to winning the Asian Cup title last week. The London 2012 bronze medalist was the form player of the 2014 World Tour, winning three titles, but has not yet got off the mark in 2015. The Japanese pair of Kasumi ISHIKAWA and Ai FUKUHARA will also be confident for the German Open crown, as will the Qatar Open champion Elizabeta SAMARA (ROU) and the hometown favourite HAN Ying (GER). Qualifications for the 16 available positions in the main draw of 32 takes place on 18-19 March, with the knockout action getting underway on 20 March, and the winners being crowned on Sunday 22 March. The GAC Group 2015 World Tour is offering a record US$3,000,000 in prize money, and will also be the most viewed in history, with more events shown live throughout the world on television, and all the events being shown live on ITTF’s live streaming platform, itTV. The top 16 singles and top 8 doubles pairs on the World Tour Standings will then be invited to the prestigious World Tour Grand Finals at the end of the year, the location to be announced later.